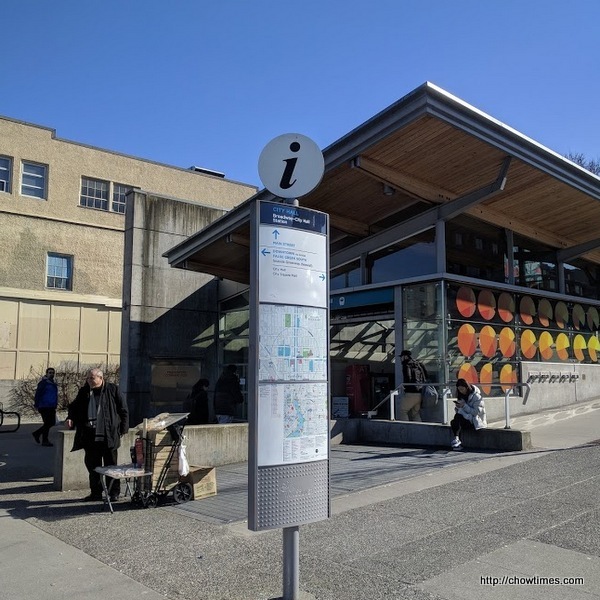 While driving along Cambie St., Ben spotted the Mystery Baklava Man at the Broadway City Hall Canada Line Station. 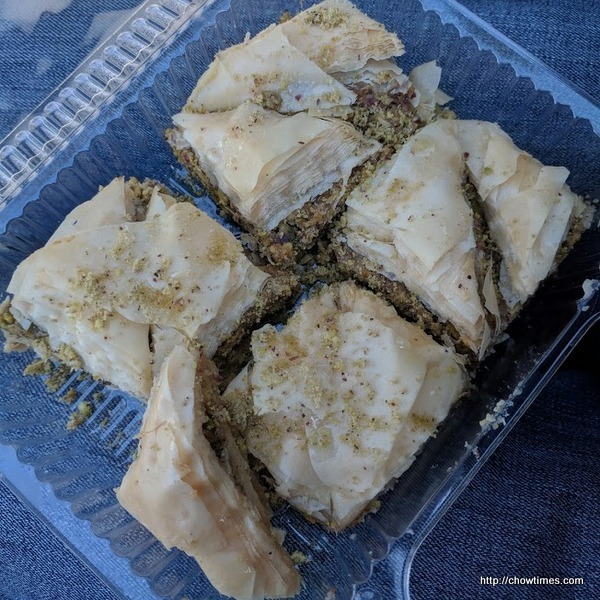 He read about this mystery baklava man from Reddit and he had created a buzz on the internet. So, Ben had to give it a try. We parked our quite a distance a way as we were looking for a free parking spot. 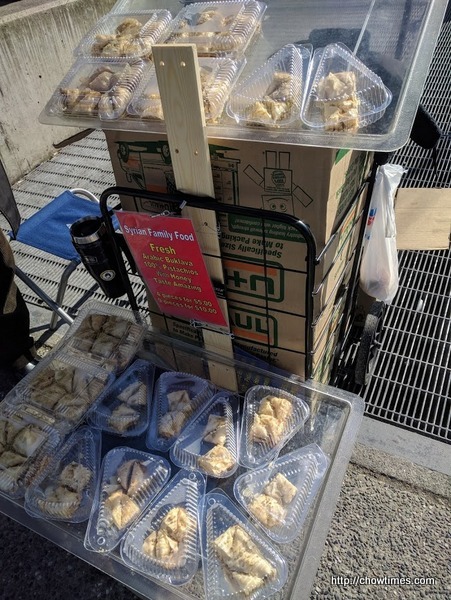 The baklava are sold in two types of packaging. Four pieces for $5 and nine pieces for $10. The Baklava Man told us that his wife made these Syrian baklava. We bought the 9 pieces package. 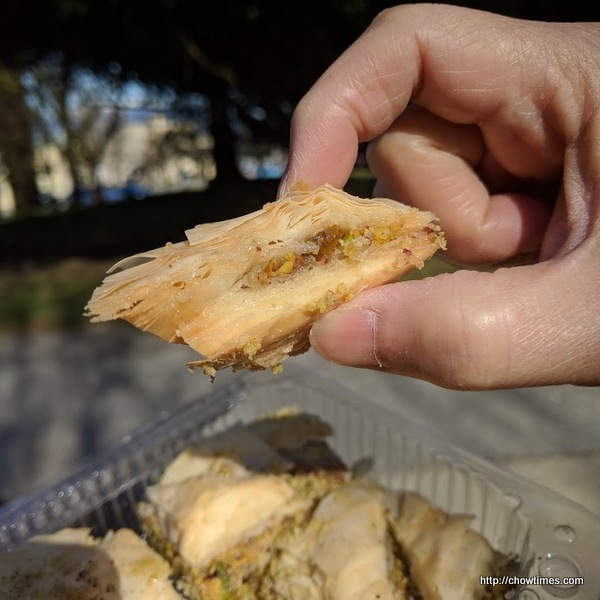 We walked over to the City Hall where there is a small park and we sat down on a bench to enjoy the baklava. The baklava was super flaky with a strong rose essence flavour. They were buttery rich and nutty. 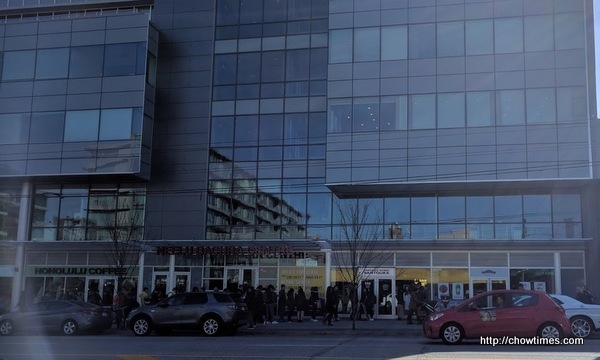 We also noticed a long line outside a building on Broadway. So, we walked across the street to check it out. Apparently, Santouka Ramen was offering 50% discount on that particular day. People are just willing to wait for a deal.